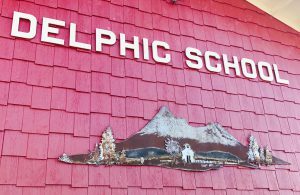 Delphic Elementary School is a small, rural one building school district which is located in Northern California’s lovely Shasta Valley. Three miles from Yreka, our little red schoolhouse is nestled among many cow pastures. Delphic School was established in 1916 to provide an education for students living between Yreka and Montague. 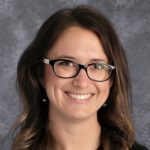 The school currently serves the role of providing for local students and is an alternative for students living in neighboring school districts. Read more. Welcome to Delphic Elementary School’s website. We appreciate your interest regarding our school. At Delphic, we strive to create a learning environment for students that is safe, supportive and nurturing. We foster positive student behavior through our use of Positive Behavior Intervention and Support (PBIS) with school expectations of Safety, Respect and Responsibility. Our teachers utilize adopted curriculum as a tool to meet the instructional requirements of the common core standards. Read more.